I was at the grocery store the other day, when a lady stopped and noticed me. She could see the panic on my face. She observed me searching my purse, pockets, my grocery cart, and the floor around me. She just knew what had happened. I looked up. “Yes!” I said. I was a bit frustrated, but the fact that she noticed it caught me as funny. Obviously, I’m not the only one who loses my grocery list. Plus, this definitely wasn’t the first time. The lady and I had a good laugh about it—how we both spend so much time adding to our lists, then setting aside time to shop and make sure we get everything in one trip—then we went our separate ways. I guess all of you grocery shoppers know what I was going through. If you’re like me, you don’t want to spend more time at the grocery store than humanly possible. As it is, on a weekly basis I spend about one hour navigating the isles, picking out the right items, and trying to figure out the best deals on what to get for my family of six. But that day, without my paper list, I was left with just my foggy memory to get me to the grocery line and back home again. Though I was sure by the time I got home I would remember 12 more items that were essential for the coming week. I definitely did not want to go back, but I would probably have to. Thankfully, there is a solution to losing the paper list, to make sure this doesn’t happen again. A digital list! 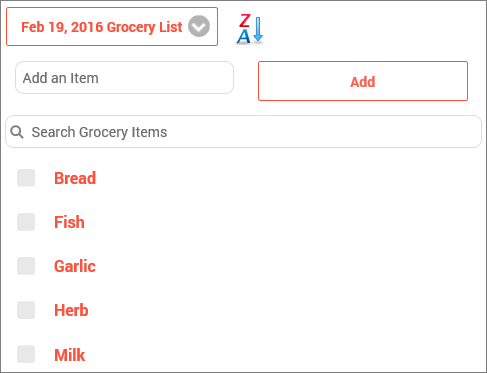 rememberstuff.me makes it really easy to create and keep up your own grocery list. You can bet I’m making a list right now so it’s accessible from my phone or any device; much harder to lose than a piece of paper, right? 1. Just go to go to Remember Stuff’s To Do’s & Lists page. Then click on “Create New List” and you’ll see a few options. 2. 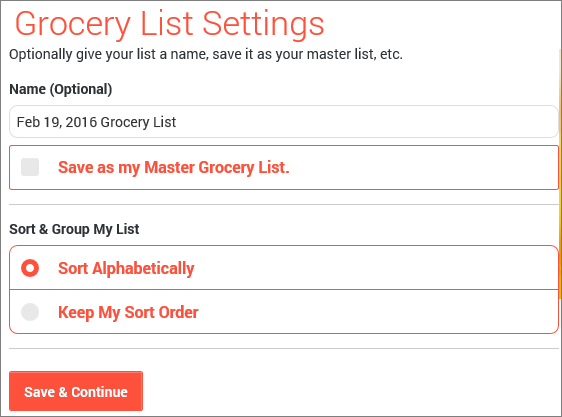 It’ll ask you to enter items you want to put on your grocery list. Add several—one per line. Click continue. 3. Then it’ll ask you to name your list. You could do a “Master List” or just today’s list. Or maybe you could divide your list by store names. It’s up to you. Save and continue. 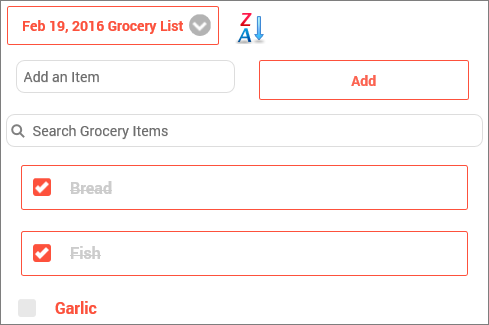 One option is to sort lists alphabetically or keep the sort list order, perhaps by isle in the store. 4. You’ll now see on the right that your first item is on your list that you just named. So now all you have to do is keep adding items to your list! Today I need eggs, milk, bread, and snacks for a road trip we’re taking tomorrow. Items can be dragged and dropped into a different order if desired, too, both on mobile and desktop. 5. Once you grab an item and put it in your cart, you can then click to “check off” that item so you know you have it. What could be easier? 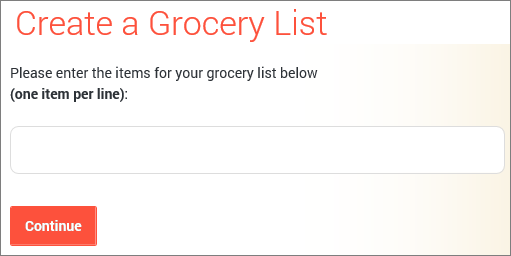 You can also click “items already checked off” to see what items you have put in your cart; perhaps you want to double check or put something back for later. 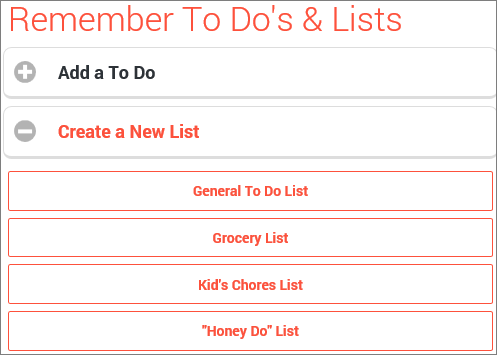 To start your own Grocery or any type of list, check out Remember Stuff’s To Dos & Lists. Carrie is a farm girl at heart. Now she spends all her time with her four outgoing children and husband. She loves to run, dance in the kitchen, try new gluten-free recipes, and read mystery novels.